You've done a great job with painting those waves in my opinion. They look very realistic. The light effect on them is particularly effective. Holy crap! Those bases are insane Mage! Some of the best looking bases I've ever seen! Plus the paint jobs on the models themselves are outstanding! Just killer work man. You've really leveled up with your painting skills man. Just fantastic work. The turtle especially looks great. All this stuff is at a really high standard. Great work man keep it up! Those latest waves are fantastic Mage, really love them. The combination of their shape and painting make them look really believable. Absolutely fantastic work, Mage . I have to say, I think you've definitely reached a new level with your brush-work. 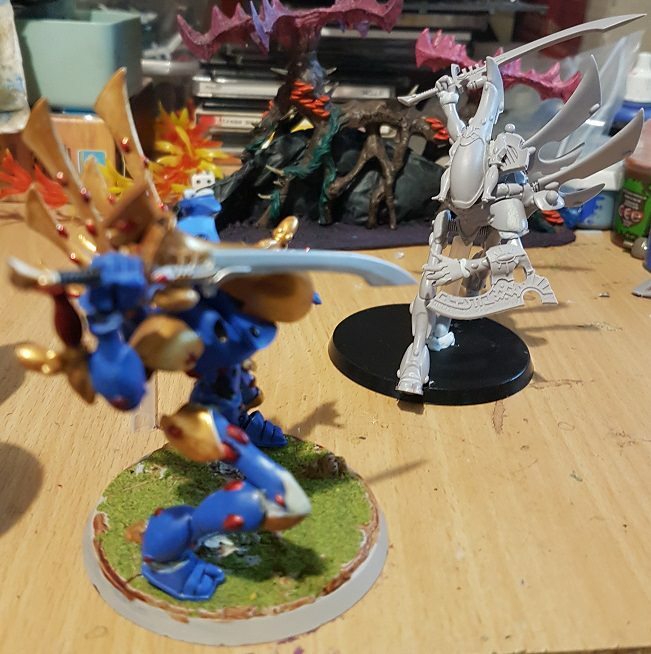 I noticed that when you began work on your idoneth in earnest, each new unit seems even better than the last. 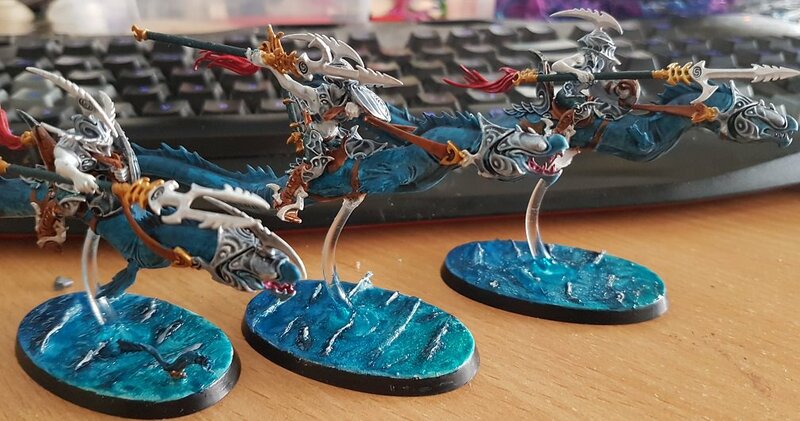 I love this akhelian unit, the skin on the eels and the color-shift in the metal look great! The way you've pulled off the oceanic bases is the real icing on the cake ! Great work Mage! Those Akhelians are looking superb. They aren't the easiest kit to paint and you've done a terrific job. The colour palette is brilliant and balanced and, agreeing with what Myen'Tal has said, your brush work seems to be improving with every iteration. The things that really set these guys aside as a top notch product, in my mind, are the bases. The effect you've achieved is stunning. Super realistic and giving brilliant character to the models. Amazing. Yes, those bases. They are something else. Absolutely amazing stuff! 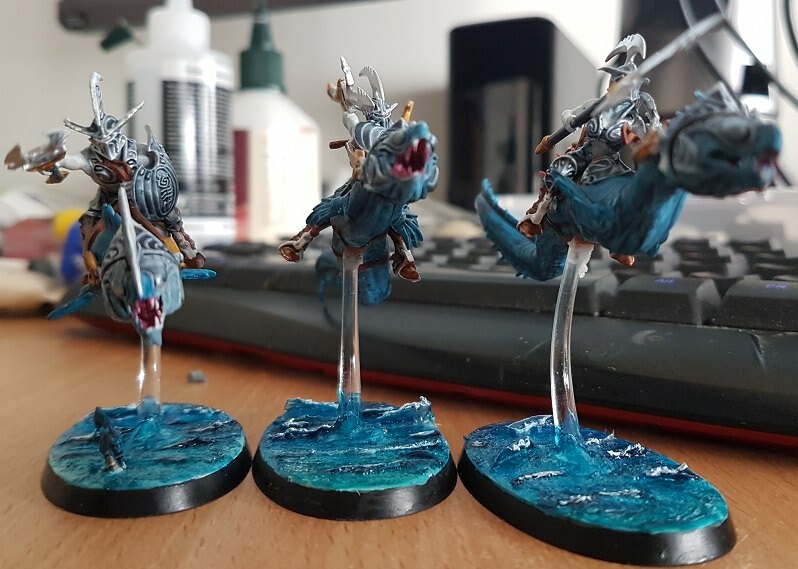 Awesome, these Deepkin are making big waves on the tabletop . Cannot wait to see more! The sea on the bases looks absolutely fantastic Mage. Great job! Again, I'm so impressed by those bases. I don't think I'd ever have the patience to pull off a look that good. Amazing work. so lots more to do, but I like the position. Has any one found dynamic cloths that will work with Wraith Lords, the normal one now doesn't feel right (besides being too long lol. 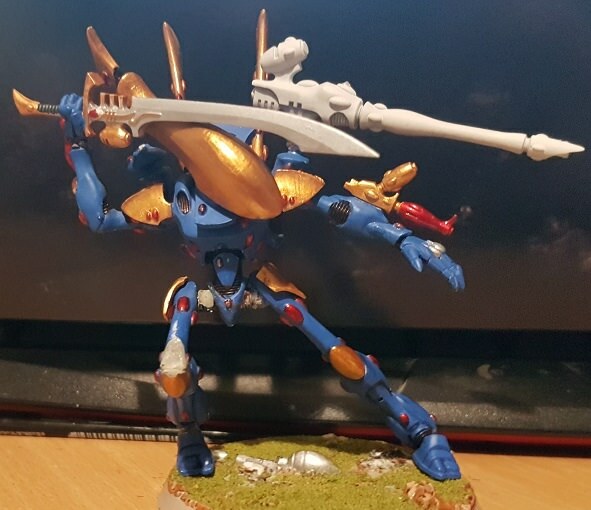 Great unique pose you've managed with the Wraithlord, always amazed by the dymanic conversion potential that model kit has, I've seen all kinds of crazy conversions for him . 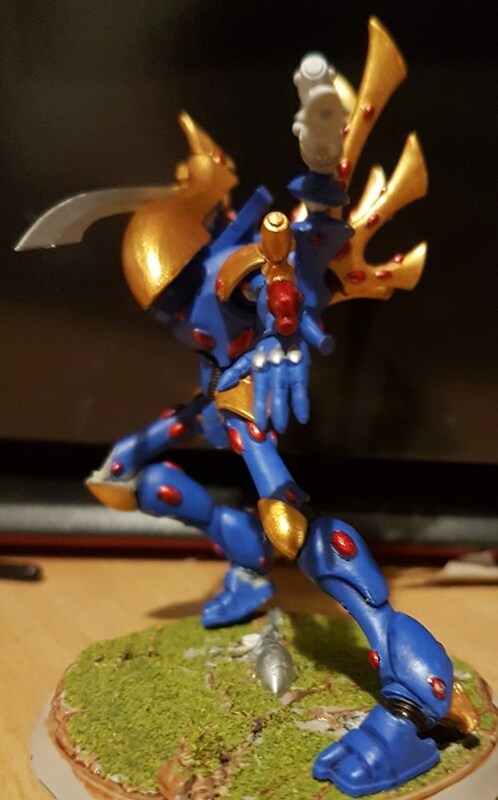 You must have great patience to paint all of those gems though , I've painted some on smaller infantry models and even with the gem paints, they're still a bit of a pain haha. 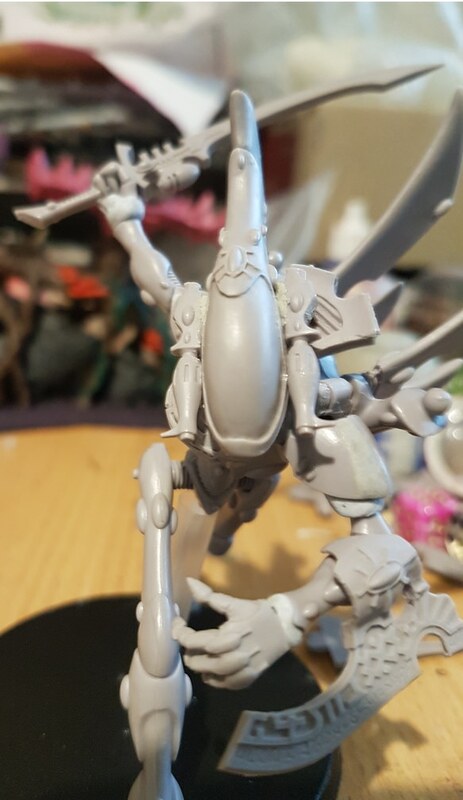 I have a question about the bases for you Deepkin. I've been referring to your guide on how to create the ocean bases, but I'm still a little stumped on the step that involves covering the base in the water effects. How thin is the coat that you recommend using. Also, is there a way you get a consistent and even spread across the base? I find that getting a consistent layer of gel on the base is a lot harder than it looks. It just doesn't want to create a solid layer, and you can risk putting on too much gel if you're careful and gunking up the base. I think I almost did that on my Akhelian lol, and started taking some off the base before it completely dried. Well the water effects layer I use is fairly thin. I tilt the base and/or use a tooth pick to move the water effects around a little, but its mostly self leveling any way. Its basically just sealing the paint and making a smooth surface for the gel waves. FYI, you can also cut up clear drinking straws to make some of the large waves. Tamiya has a few paint colours that are tranlusent, the original idea for them was with model cars, so it was for break lights (on clear plastic). It was a super quick way of getting shinny gems done back in the day. Ah, so you're using the water effects, the white paste stuff right? Then you're putting the water texutre down on top of it, then using more water effects on top of that? The water effects I use first is a liquid. Then a blue gel water effects to create the waves. Ooh, I see why I'm puzzled now. The water effects that I use is more like a pasty substance. Out of curiosity, what is the brand of water effects that you're using? Vallejo water effects - still water.